RasterWeb! Google Reader Dies, RSS Lives! Posted on Thursday, March 14th, 2013 at 7:15 am. Subscribe to the comments feed. Both comments and pings are currently closed. Post on your own blog. Feedly and Reeder. 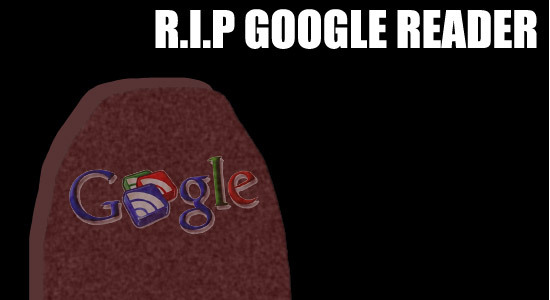 Both say they will support after Google Reader dies. Feedly has already launched Normandy and add ins for most browsers, in addition to more server space since they got whacked yesterday after the announcement. I’m still waiting to see Reeder’s response. I’m looking at Feedly… it may work. Looks good so far. I posted my thoughts on my blog too. Whichever one seems to have a business model. I’d much rather have something I host myself or a stand-alone app so I don’t have to worry about the whim of companies. Unfortunately I haven’t found anything that looks both current and featureful. I gave Feedly a try last night, mostly impressed with their plans for dealing with Reader’s sunset. But today it’s completely overloaded. Five months is enough time for a lot to change. It’s not often that Google leaves so many die-hard users stranded. I bet by July 1st there will be twice as many RSS reader options. I’m sure there’s a ton of Google Reader users who would pay for it today if it were an option. I’d consider it, depending on pricing of course. I’m not too worried, the open web finds a way to survive and route around the speed bumps.